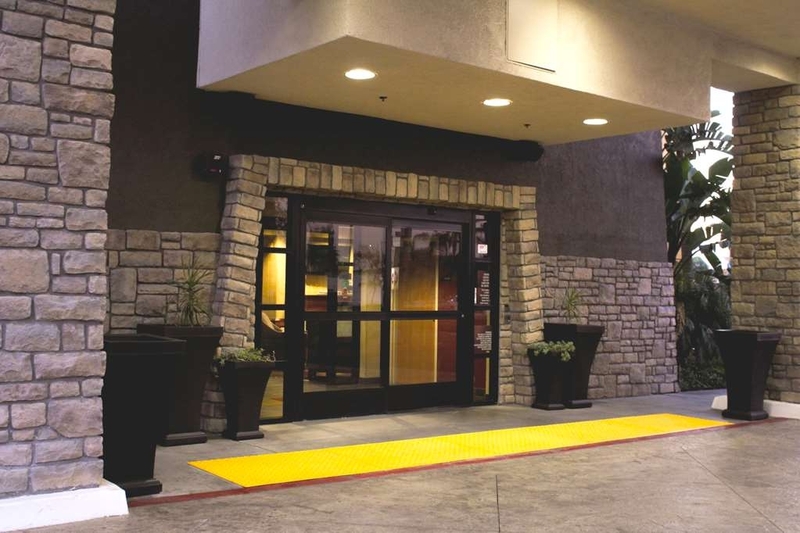 Il Best Western Plus Arrowhead Hotel è situato nel centro di Colton. L'hotel è vicino alle principali attrazioni turistiche. Approfittate tutto l'anno del miglior prezzo garantito e di offerte esclusive. 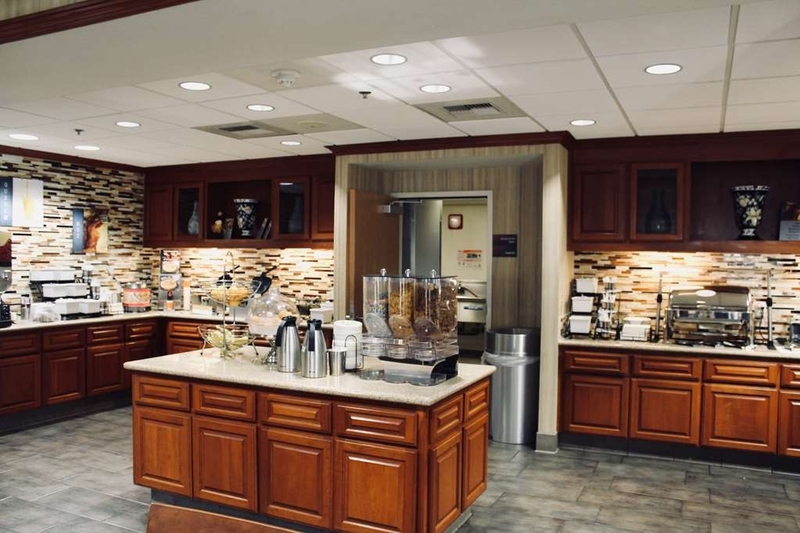 Sia che tu sia qui in veste di turista o di viaggiatore d'affari, il Best Western Plus® Arrowhead Hotel è pronto a rendere il tuo soggiorno un successo. Le camere dell'hotel ristrutturate di recente, spaziose e pulite, sono arredate in stile moderno e offrono il massimo del confort. Tutte le camere, ristrutturate di recente, dispongono di microonde, frigorifero, accesso Wi-Fi a Internet gratuito e televisore LCD con canali satellitari, e la nostra spaziosa scrivania è dotata di tutte le comodità per un viaggio d'affari all'insegna della comodità. Potrai gustare una colazione completa all'americana gratuita servita tutti i giorni, nonché servizio tè e caffè gratuito che potrai trovare nella hall 24 ore su 24 e 7 giorni su 7. L'hotel dispone anche di piscina e idromassaggio riscaldati all'aperto e di parcheggio gratuito. 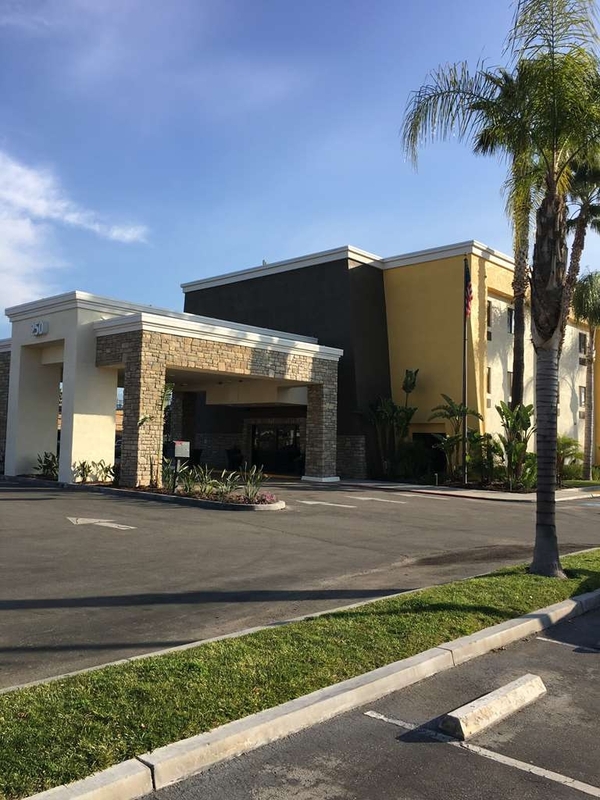 L'hotel si trova a pochi chilometri dalla maggior parte delle attrazioni locali come il Gonzales Community Center, il Fiesta Village Family Fun Park, Inland Center Mall e il National Orange Show Events Center. Se ami le attività all'aperto, non dimenticare di visitare il Santa Ana River Trail e la famosa destinazione invernale di Big Bear. Ti troverai inoltre a meno di un'ora di auto da famose attrazioni tra cui Disneyland® e Knott's® Berry Farm. Il nostro personale cordiale e competente è pronto a darti il benvenuto al Best Western Plus Arrowhead Hotel, ristrutturato di recente. Siamo certi che apprezzerai il tuo soggiorno! Prenota oggi stesso e scopri tutto quello che ti offriamo! 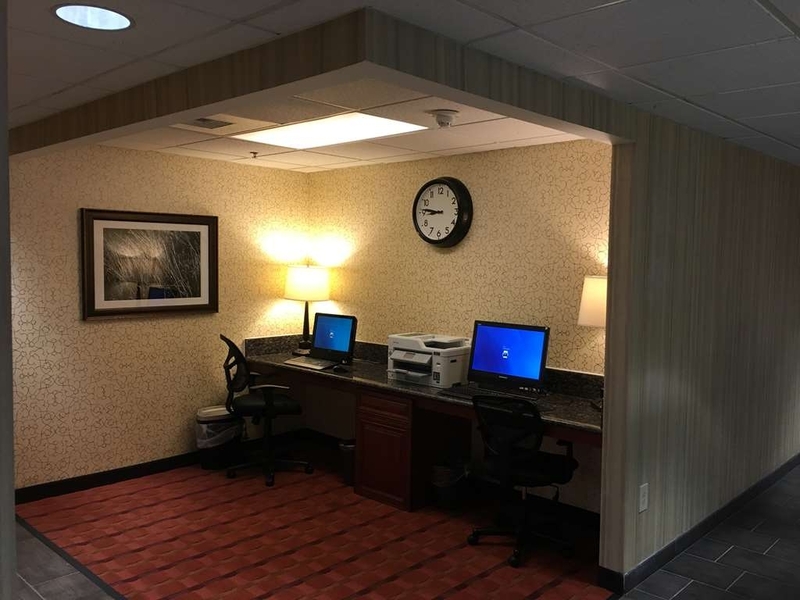 "Great Hotel - Close to several major freeways"
Excellent hotel. Definitely a Best Western PLUS. The property is in excellent condition from the front lobby to the guest rooms. The bed was comfortable. The bathroom was very clean and the shower had ample hot water. The room was quiet allowing for a good night sleep. Would recommend this to anyone who is looking for a place to stay in this area. 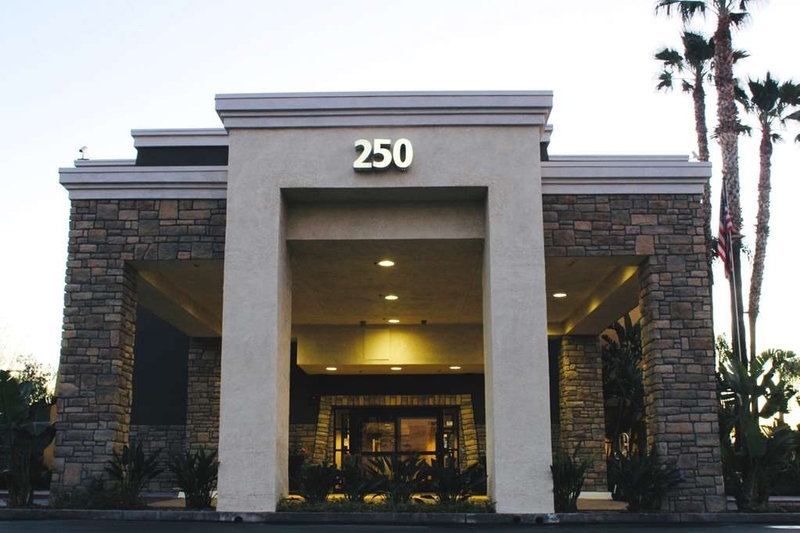 It is close to several major freeways and close to downtown Riverside where I participated in a trade show. 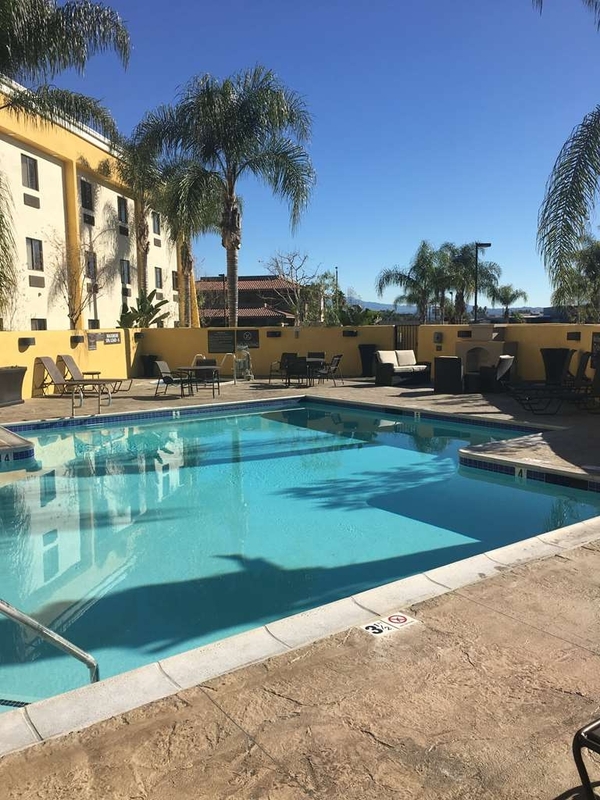 "Excellent Place to Stay in Colton - near Riverside"
Born and raised in this area ( I moved), I am aware that Colton can be a bit "seedy". 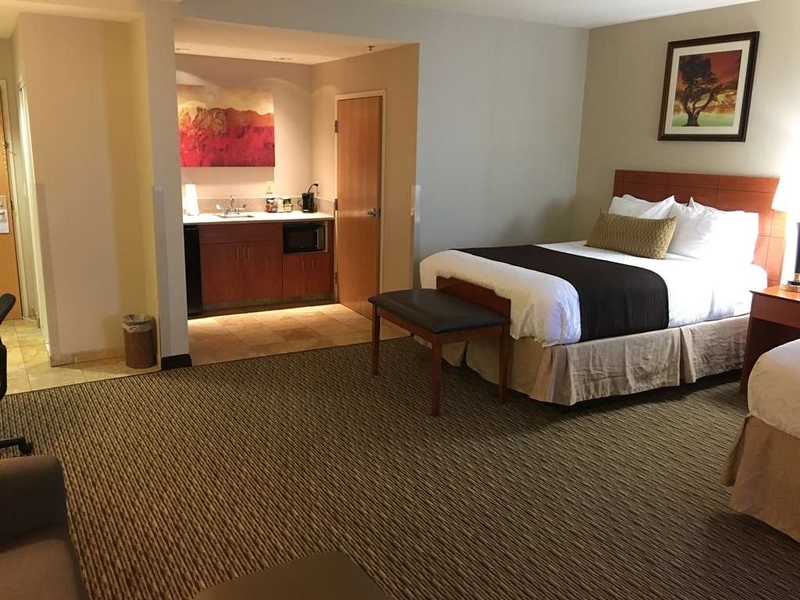 However, upon my very thorough internet search of Best Western Plus Arrowhead Hotel, and the immediate surrounding area, I felt comfortable taking a chance. I was not in the least disappointed. In the four to five block area around the Arrowhead, I was comfortable. There is a Starbucks right across the street, and there is a Dominoes Pizza, Denny's and McDonald's within walking distance. There is also a Stater Bros. (grocery store) also across the street. And yes, I felt safe walking there. As for the hotel itself, Wow! Very nice. Very clean. Very comfortable. The room was good size. The bed was soft and comfy and so were the pillows. 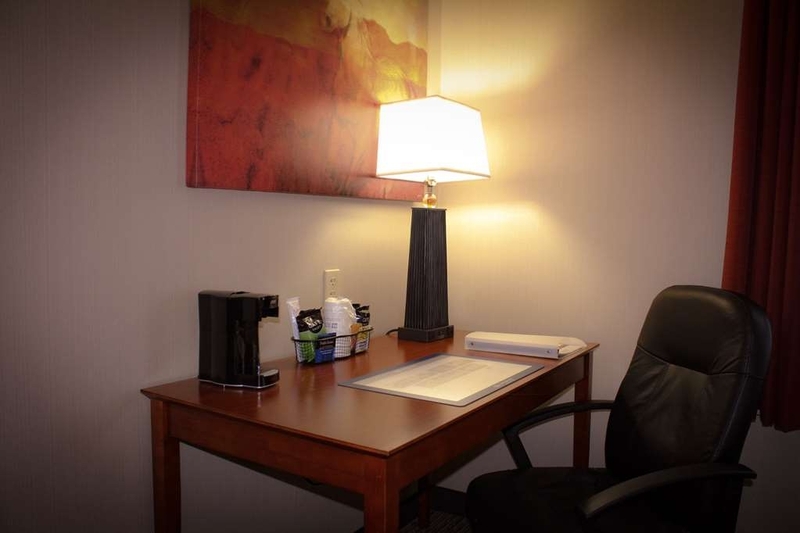 Plenty of amenities including a coffee maker, microwave and refrigerator in the room. The continental breakfast was more like a buffet. They offered three kinds of cereal, hot oatmeal in a crock pot! None of that instant packaged oatmeal. Real oatmeal. They had toast, biscuits,English muffins, bagels, and various pastries. Several juice choices were available as well as coffee, team and hot chocolate. A variety of fruits were also available. For the main course, they had scrambled eggs our first day and mini omelettes the second day. Both of these came with two kinds of sausages and bacon. We had hashbrowns the first day and fried potatoes the second. There is also a waffle maker and lots of yougurt too. There is no way you will walk away form the free breakfast dissatisfied. We didn't use the pool or hot tub but our room overlooked this area and it appeared to be clean and well maintained. Since I always feel there is room for improvement, I rarely give five stars. However, I tell you, I was extremely happy with our visit to the Arrowhead and will ABSOLUTELY return! By the way...very reasonably priced as well. My wife and I stayed for 2 nights at this hotel during our golf trips. The hotel is close to the highway and so was convenient for travel. The breakfast was good with al variety of usual items. Hotel room was clean and quiet. I had to travel to Colton for a class, and it required an overnight stay. The hotel was clean, well kept, well staffed, well taken care of in general. Breakfast was pretty normal for a Best Western Plus. Overall great experience. 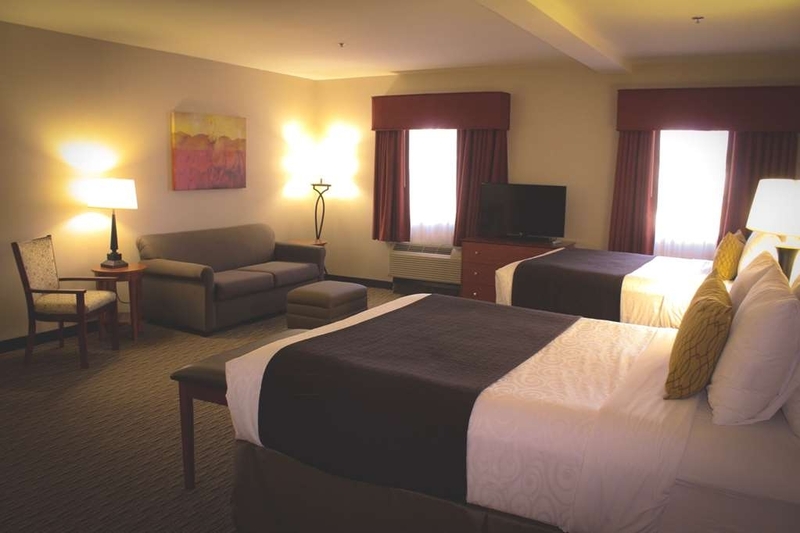 Hi Joseph H, We are so pleased to hear that you enjoyed your overnight stay at the Best Western Plus Arrowhead Hotel. Our entire team aims to create an awesome and memorable experience for each guest and we are happy to hear that we have accomplished our goal. Again, thank you for your five points review. Sincerely, Luis V.
Greatly enjoyed my stay. Definitely recommend to anyone trying to enjoy a clean, peaceful night. Extremely helpful staff and very professional. Rooms are spacious. Breakfast is delicious. Will be coming back! Excellent acomadations clean rooms. awesome breakfast friendly staff...convient places to eat Dennys..mexican food, pjs hambuger, Stater bros across the street..close to freeway..only negative guest PC monitors are extrremly small for doing any buisness transactions and internet speed. You really can tell from the outside that this Hotel is really Beautiful inside, the area is quiet and safe. My son, daughter and I walked to the market across the street and went to a place to eat walking distance. I can't wait to stay again hopefully get to stay longer. A wonderful place to stay. 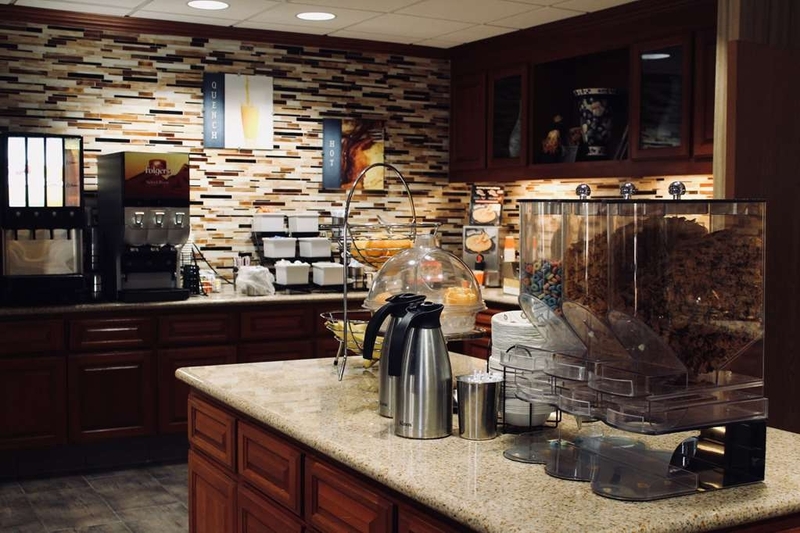 The staff here at Best Western Plus are professional, friendly, and caring. I cannot recommend this hotel more. The staff alone makes this a worthwhile experience. Add a breakfast and a comfortable room and you have all the makings of perfection. Thank you! Nice quiet, clean room. Pleasant friendly staff. Decent hot breakfast including omelettes, potatoes and sausage. Nice variety of cereal and toast, bagels, muffins, etc. Comfortable bed, decent pillows. Fluffy towels. Pleasant nights sleep, will stay again when in the area. Stayed at this hotel for Cal Jam this past weekend. Rewards member so I stay at a lot of BW's around the country and it was on the top of the list for cleanliness and overall appearance. Bed was comfortable as hell like always. This place is awesome, the staff are great, Mary, Jacob, Lucy, George, Deurice, James and all the staff are courteous and awesome. I love this place and I am so grateful to be able to stay in such a nice place with great staff. Thank you all for making this a second home away from home for us. You all are awesome indeed. My family and I were in the area for a baseball tournament and we found this place central to game locations. I was a bit uneasy about the area but this place is like a diamond in the rough. The staff is so friendly and super helpful. The breakfast was so tasty. Traveling with 4 kids can be tough but these rooms were so clean, and spacious everyone was comfortable. "Pleasantly surprised at how great this was!" After spending a few nights in LA, we decided to spend the last night east of town to avoid the horrible traffic before driving home. This was one of the less expensive properties we found so our expectations weren't all that high. What a delightful surprise! It's a lovely property, conveniently located close - but not too close - to the Interstate. The rooms are decent sized and obviously recently redecorated. 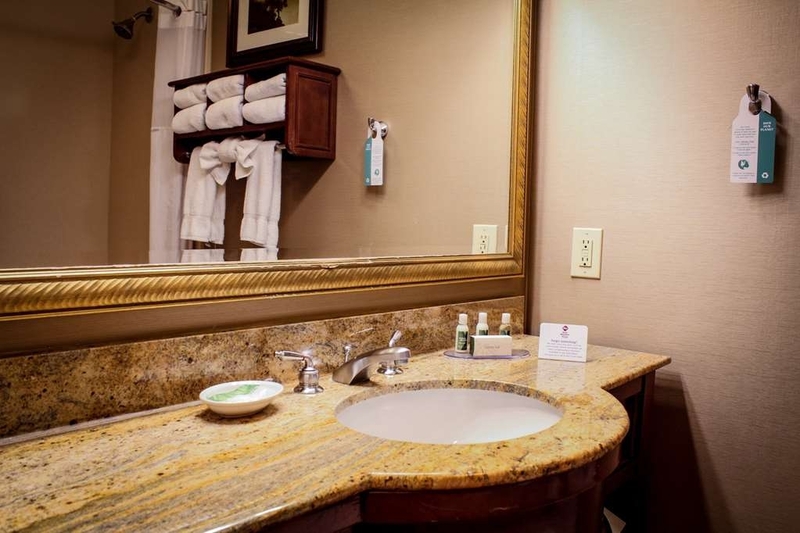 The bathrooms were lovely, the beds were extremely comfortable and everything - even the hallways - was sparkling clean and had a light, pleasant smell. The complimentary breakfast was delicious, fresh and surprisingly appealing. Every single member of the staff was warm, helpful, and incredibly pleasant without being intrusive. You can be certain that my next trip to Southern California will include a stay here! Last minute stop on long road trip. Very pleased with this hotel. FACILITY - clean, well maintained, ample parking ROOM - stayed in a 2-queen with wife, daughter and 5 granddaughters (5,4,3,1.5 and 1 week. Room was clean, well appointed and MUCH larger than I expected. 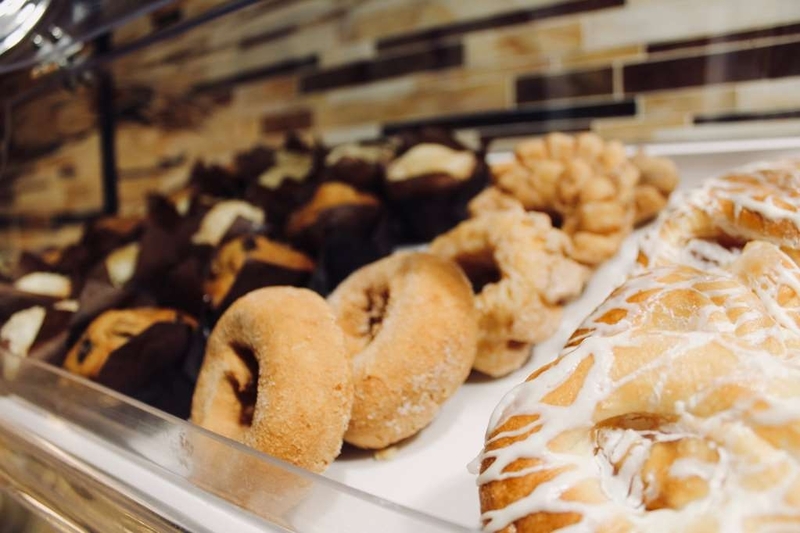 BREAKFAST - more than the typical coffee and donuts continental breakfast. DIY waffles, omelets, sausage, potatoes, fruit, yada, yada, yada. Area was kept clean and well stocked. Highly recommend this hotel. "Nice place for the price." After reading other reviews from other guests,that is why I decided to stay at this hotel. Very nice and clean, beds were very comfortable. The breakfast was very well laid out, lots of choices, the only thing is the eggs and sausage were pretty salty. Michelle went out of her way to see that I was comfortable. I recently had surgery and tried to reserve a handicap room. The handicap rooms had already been reserved. However, that did not stop the wonderful staff at this hotel, Michelle in particular, from seeing that I was safe and comfortable. They made sure to make adjustments for me in another room and even took my belongings up to the room! Great property, quiet and comfortable but the best thing about this property is the staff ! First Rate !! I always have a great stay guess it's why I keep coming back ! Thanks Colton staff !! I'll be back for sure !! The hotel was clean and the staff was great. On check in the worker answered every question we had and ensured us we would be safe, due to this area seeming a little sketchy. 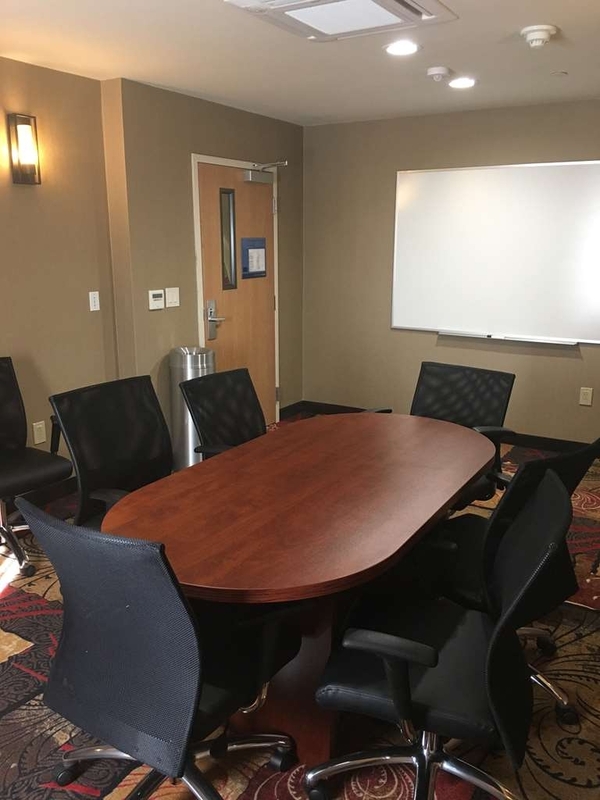 The room we had was the larger room due to our larger party and it was very spacious, the ac worked great and the room was clean. The breakfast was good and there is plenty of seating. The hotel for me was a great hotel, the only reason for 4 star is the area surrounding the hotel seemed a little sketchy, but great hotel itself. "Puts Lake Elsinore to shame"
The Lake Elsinore Best western could use a little training from the staff here in Colton. Wonderful stay rooms are very clean. Pool area and jacuzzi were nice and clean as well. Staff os very helpful. 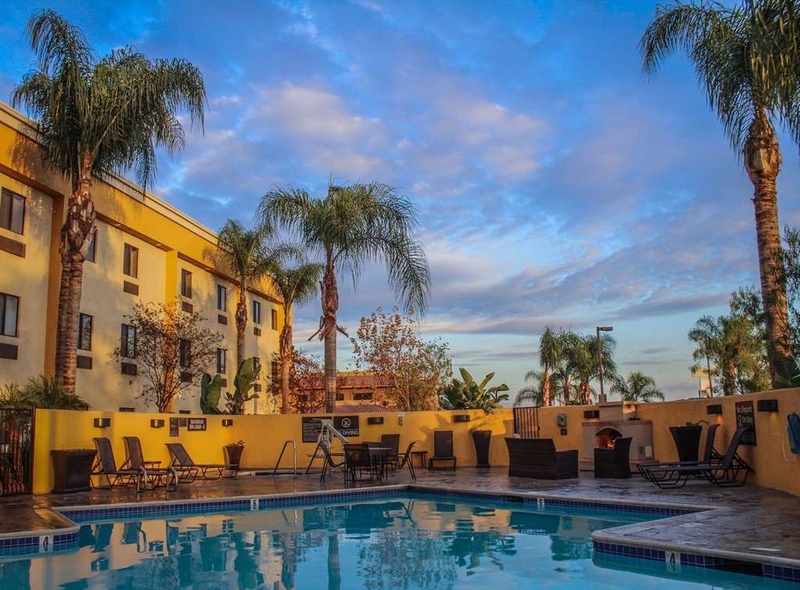 "Amazing value in an unexpected place"
A nice hotel in Colton. Grocery store across the street. Nice pool area. The check in staff was most friendly and knowledgeable. Kudos to each and every one of them. Breakfast was good for a Continental breakfast. Checkout quick and easy. Nice hotel and good staff. After a long flight, we were happy to check in to that BW in Colton. The room was very clean and tiny. Especially the bed was very cozy. Very good BW. Parking is complementary directly in front. Thumbs up. our credit card was declined because of hotel computer. front desk blamed our credit card when they knew their computer didn't work. they kept us one hour in the lobby after 8 hours driving and severe backache. we also were unable to sleep from noisy train horns all night and in spite of asking specifically for a quiet room. Nice place with train decor in lobby. Interior entry, quiet place. Everything clean and organized. Beds were cushy. 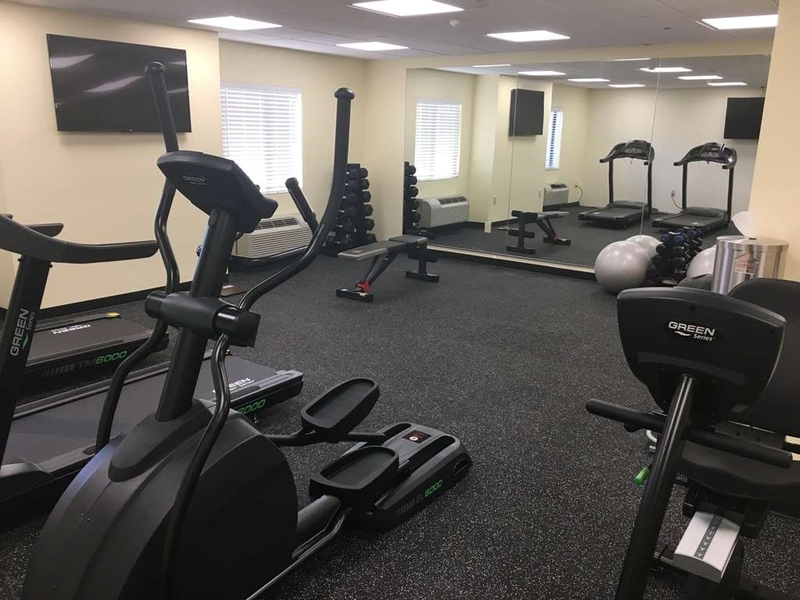 Excercise room large with new equipment and two televisions. Convenient to Riverside and San Bernardino. Would stay again. The staff is always friendly and professional. The rooms are clean and welcoming. There are a few restaurants and fast food places in the neighborhood and a grocery store across the street. The grocery store opens every day at 6am and closes at 11pm. the hotel was clean, average, typical corporate hotel with everything you would expect. Internet, breakfast, laundry, comfy beds and pillows. We arrived, larger party (6) and were accommodated just fine. "Best Western Plus 5 stars"
Always a pleasure to stay here. 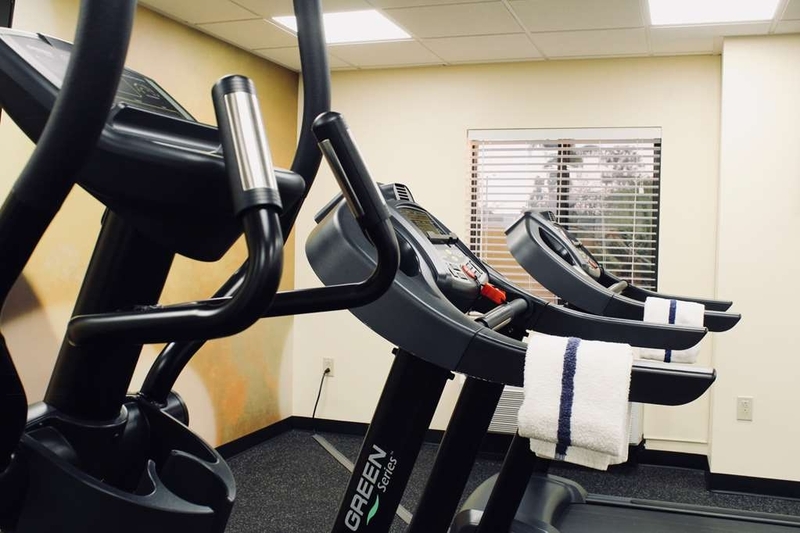 Rooms are very clean, lots of amenities. Staff is very professional and friendly. Lots of nearby restaurant choices. Highly recommend this hotel to my family and friends. 5 stars. This hotel is very clean and all the staff is very nice and caring, Ilove staying here at this hotel. The area is convient and close to stores and places to eat, the resturant across the parking lot is very good as well. 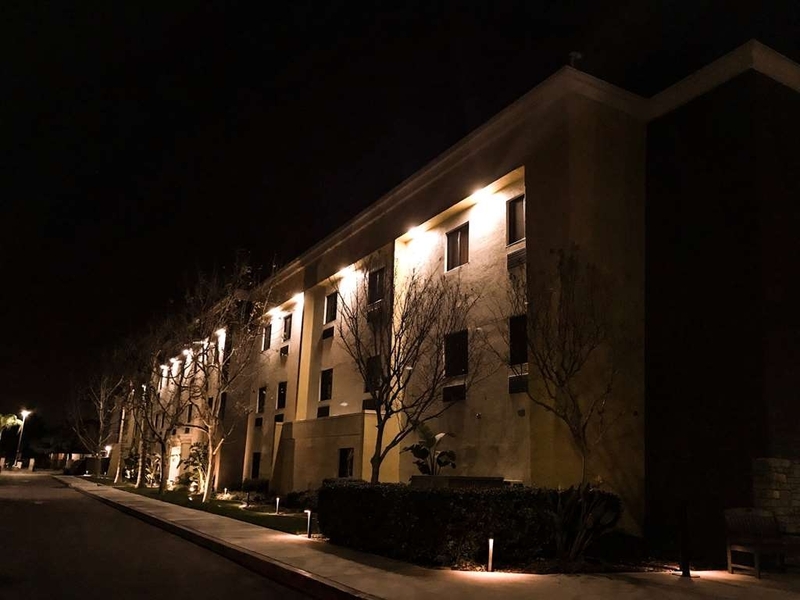 "Never judge a book by it's color"
If you are in the inland empire you will not find a more welcoming and accommodating hotel. The staff is welcoming and the rooms are clean and quiet. I have stayed at other Best Westerns in the area and none can compare. They start and end my day with a smile! I like this hotel. Yes, the price has gone up quite a bit since Best Western took over, but the place was starting to look shabby. It is a pretty good value for the price. The room is good and I love the beds every time I stay. The breakfast this time was not great, but other times has been just fine. So no worries. I will stay here again. We are regular customer for best western. But this time we got disappointed service. They took money from two credit cards. Almost 10 days now. Not deposit yet. Paying interest to credit card . Contact customer service. Getting diffrerent answers from different persons. Hope we will get our money back soon . Helpless . Not only this hotel. Another best western hotel the same problem. Can't believe it . "Perfect for a show at NOS"
We went to a show at the NOS center in San Bernadino and this hotel was the perfect spot to stay. Good value, clean and a quick lyft ride away from the venue. There is even a grocery store across the street and lots of local restaurants within walking distance of the hotel. "BW Plus Arrowhead - located in a convenient spot"
Convenient location off HWY 10. Raised comfortable Queen beds with lots of pillows. Clean room and bathroom - looks like recently remodeled or updated. Breakfast selection was typical to that of BW Plus. Secured parking lot with plenty of parking spaces. This BW Plus Arrowhead Hotel in Colton, CA was so nice! I was easy access to the I-10, clean and very comfortable. Check in / check out was quick, easy and with friendly staff to assist. The facility was well kept and security was sufficient. Breakfast was very nice. Good experience overall, staff was great and very helpful. Check in is easy. The room was comfy and the breakfast was the best part. I? would define staying there in the future. It is one The the best hotels I've stayed at. "Nice, clean, worth the stay"
This was a nice place to stay. My wife and I stayed here, after a concert we attended in San Bernadino. It was a nice place to sleep. It was clean, comfortable, and worth the money. Highly recommended. 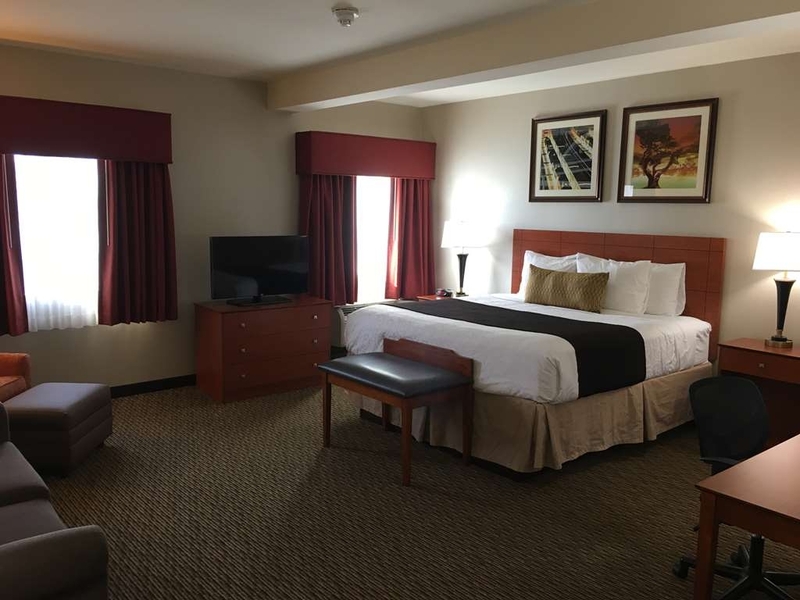 "Great spot right off I-10"
I was very pleased with the stay this past weekend in Colton California. I was travelling for leisure not business for once. 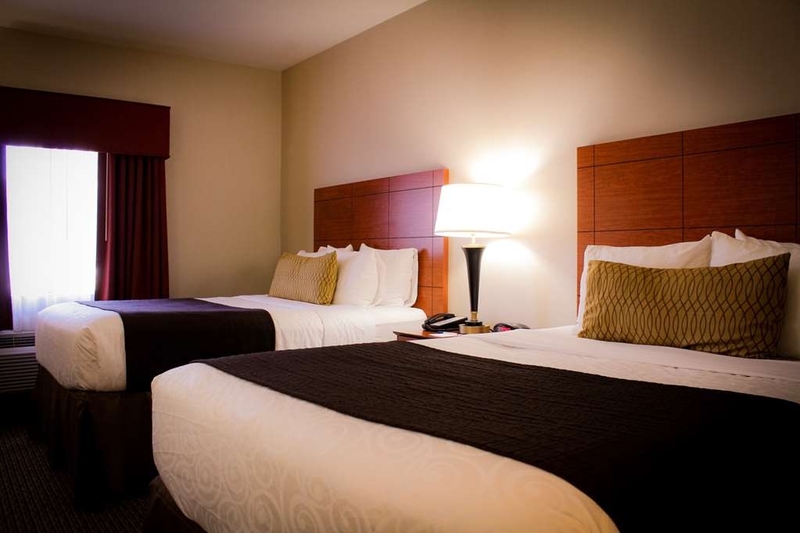 Rooms were very clean, and a very caring and helpful staff at the front desk all the way to the housekeepers. No problems at all. Great value, great breakfast and I was very impressed with the staff. My boyfriend and I really exited our stay at the best western Colton. Everything went smoothly and the staff was very friendly and helpful. There was times however when theee was nooone at the front desk. The staff are very friendly, rooms are clean and beds are super comfy! We got a 2 queen room with a sleeper sofa for my family of six. The room was spacious and comfortable. Had an excellent time with our family reunion! Great place to stay. Close to all major cities around Colton. Easy freeway access. Food was great. Staff was ready to assist with anything. I will be staying here again when I travel to the Colton area again. 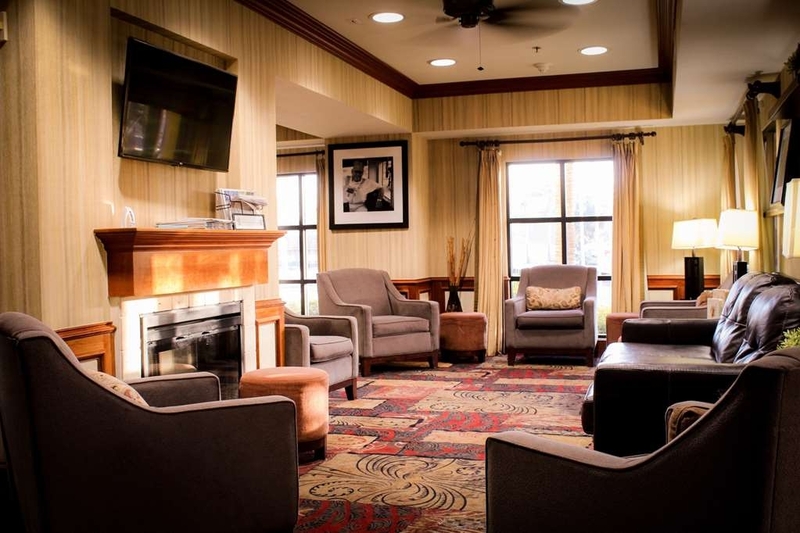 "Great Service mad a Great Stay"
The entire staff was friendly and polite. The young man at ck in was a delight. The pool side was clean and the Jacuzzi was clean and at a good temperature. The fire place by the pool side was not working, but did not ruin our time. Had a great nights sleep in the very big king size bed. Loved the pillows so much I looked at the tag to see what kind they were. Staff was very friendly everyone smiles and says "Hello". On my way through will definitely book this hotel. We stayed here in May and again last week. This hotel is great! All of the staff are super friendly and accommodating. 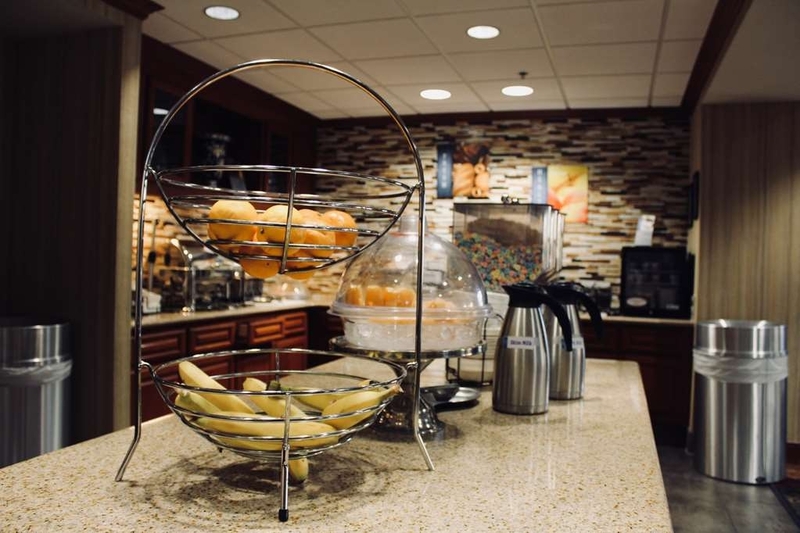 Rooms are clean, pool is nice and the hot breakfast has lots of options. 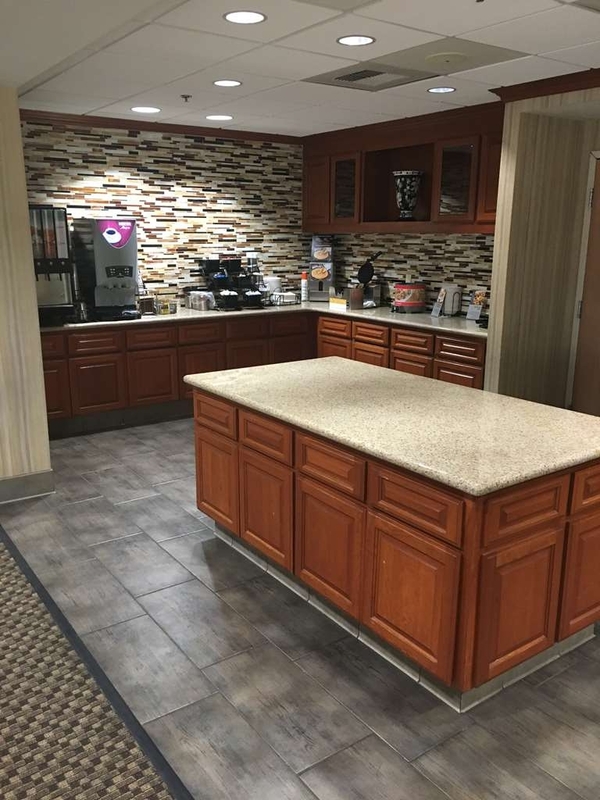 I don't make coffee in the room because the coffee they have available in the lobby 24/7 is really good! It feels very safe with the surrounding wall/fence and all their cameras. There are a couple restaurants in the parking lot, and a grocery store and Starbucks across the street. There is nothing they could do better and we will always stay here when in the area. 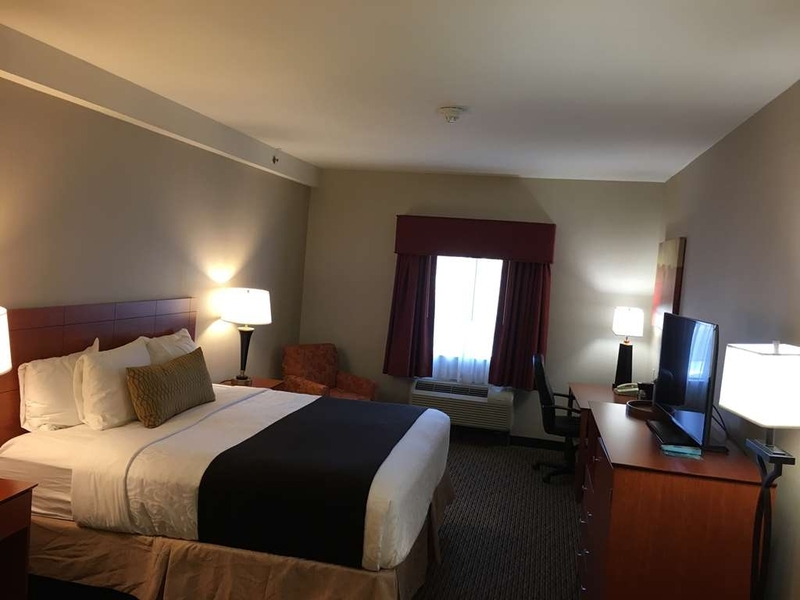 I went on a business trip and I can say the hotel was very clean, the room was spotless, a comfortable bed to dive for , Staff very caring and helpful. I will definitely go back on my next business or pleasure trip. Walking distances to a great sushi restaurant that is unbelievable and unique sushi dishes. 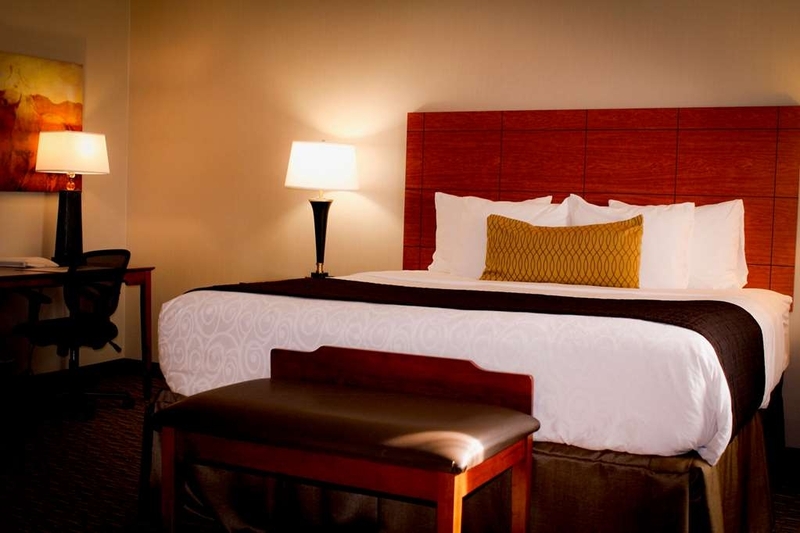 Very clean and newly renovated hotel with top quality beds and comfortable bedding. Great bargain for the price. Why stay in a more expensive hotel. Breakfast was tasty and well displayed. Easily accessed from freeway. I love coming up to Colton for the Little League Baseball. Been staying at this hotel for a few years. As always, it feels like home. Upgrade looks wonderful and rooms are comfortable. Breakfast was very good. Mary at the front desk is helpful and friendly. Shout out to Richardo, the maintenance man. Such a nice person and always remembers up when we check in. He does a great job with the rest of the staff taking care the this hotel. This place was clean and well maintained. Bed was very comfortable. TV was good. Prices were great. Grocery store and nice restaurants were literally across the street. The property was very safe with a block wall all the way around. Even the parking lot was clean and neat. I stayed two nights and BW Plus Arrowhead, Colton, heading to AZ and on the return to CA. The coffee pot did not function on the return trip but other than that the room was very comfortable and clean. They supplied a hot breakfast of eggs and sausage/gravy the first time and eggs and sausage on the return trip. There was also cereal, fruit and muffins etc. It was okay and got us on the road fast. 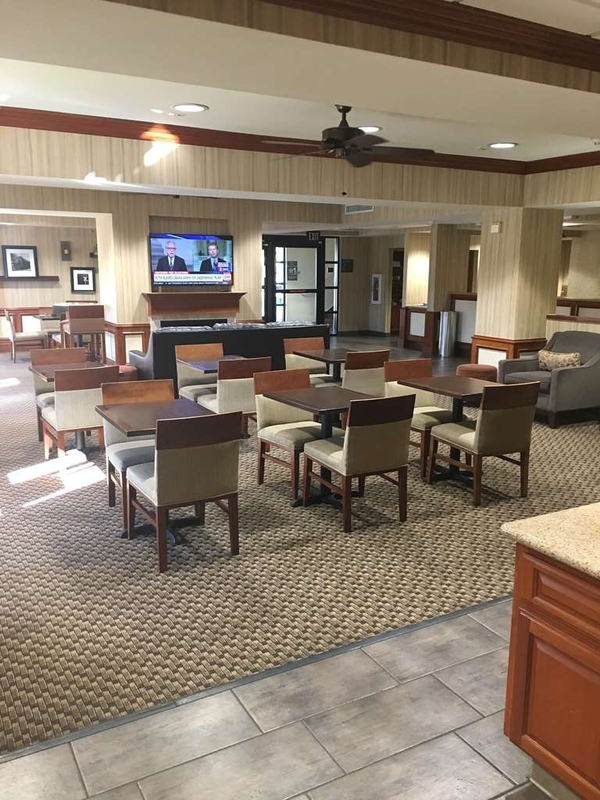 "Best Western Plus Arrowhead, Colton, Ca"
I had the pleasure of traveling to Riverside with family. 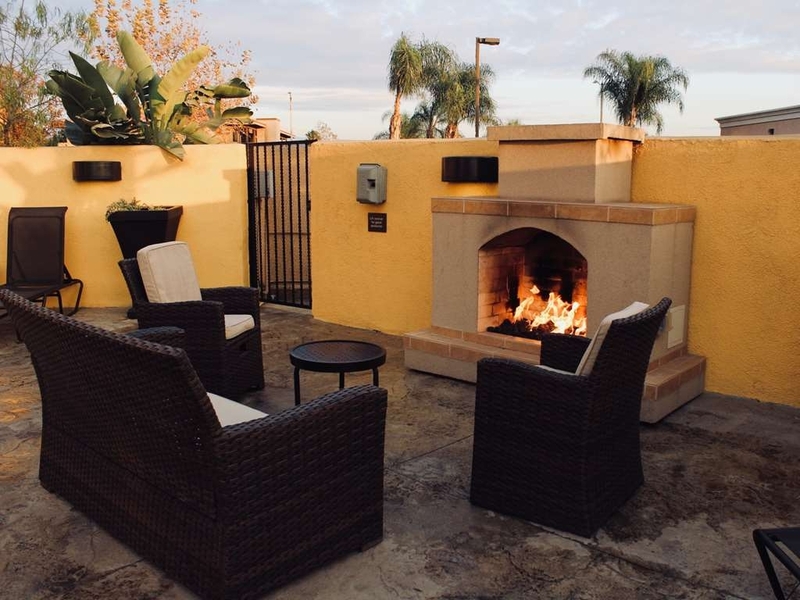 We decided to stay at Best Western Plus Arrowhead which was a short drive of approximately 15-20 minutes from Riverside. The hotel was off the freeway. Next to hotel was Starbucks, a family cafe, a pizza place, Stater grocery store and an Ace hardware store. 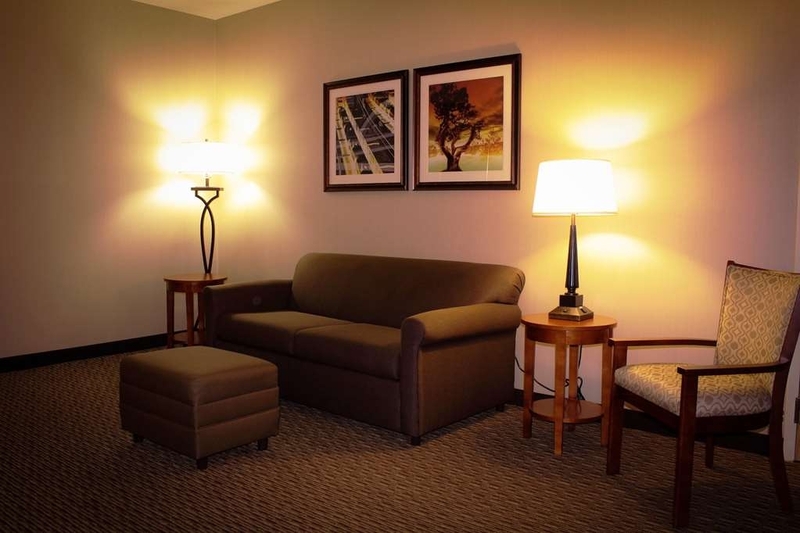 The family suite was spacious, comfortable and clean. The customer service was great; efficien, warm and friendly. Breakfast was included at no charge. The big bonus was a great swimming pool and spa. Oh, the swimming pool also had a lift available for lifting and placing a disabled person in and out of pool. Very cool to see hotel welcomed and provided assistance for disabled folks to also enjoy pool. 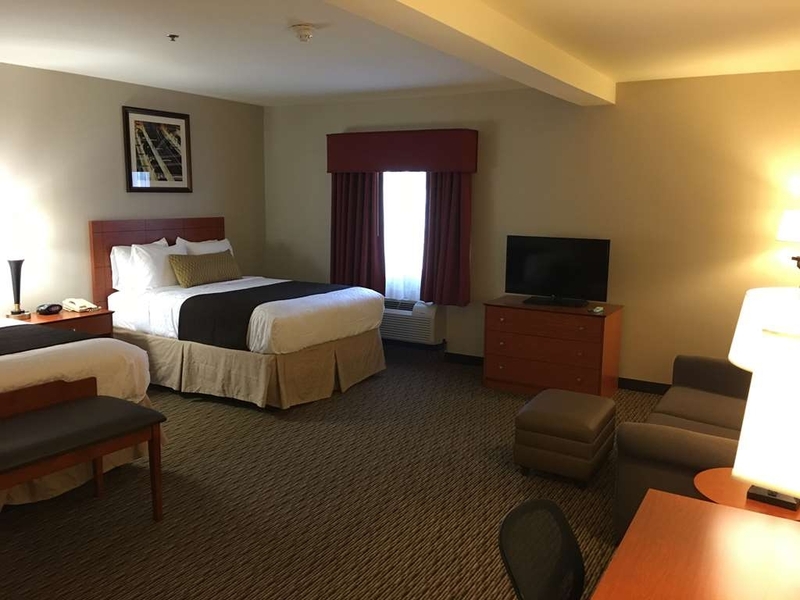 We have wonderful memories of our Family Adventure and our stay at Best Western Plus Arrowhead! Yay! Beautiful Hotel everything is new and super clean. Staff is amaizing. 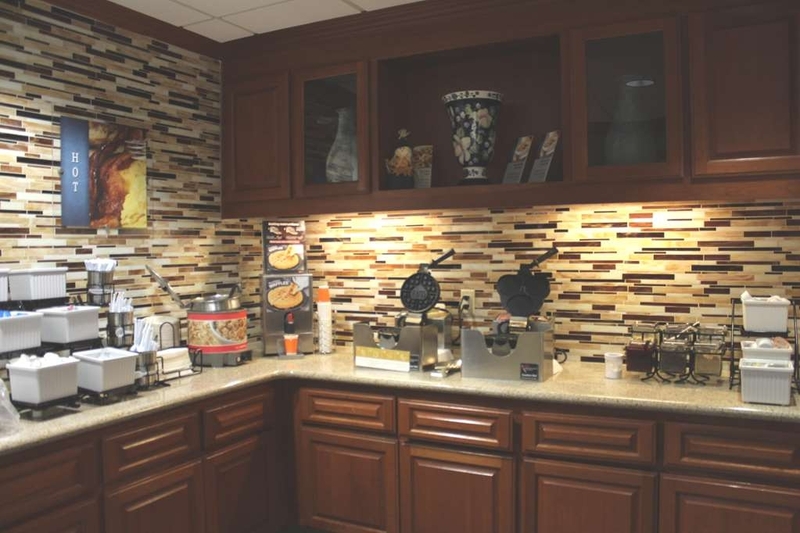 It is the best Best Western Plus o have ever stayed at. Definitely will be back again. Highly recommended. Great value for price as well. Everything was so amazing! Everybody was friendly and seemed like they were happy to be there. Smooth check in and out. Room was always cleaned when we returned and maid would always organize our things for us! Basic, but quality hotel at a good price point. Comfortable bed and room. Located in an easy-off, easy-on area off I-10 east of LA. The area itself is pretty grim, but the hotel is good. Standard motel breakfast included. This location would have to be my number 1 choice for Best Western Plus hotels in my area. It's close to both my husbands and my job. It's spacious and clean. The breakfast was wonderful with fresh fruit. 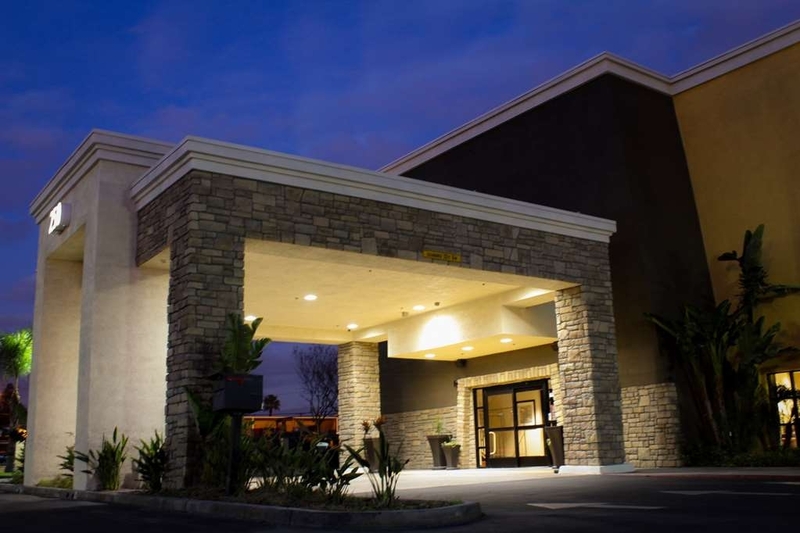 It is definitely worthy of being called a BWplus unlike the Best Western plus in Ontario airport center. Nothing about that place was a plus in my opinion. Loved the stay. Best one ever. Comfy beds. Clean rooms and the staff was friendly and helpful. I was there for my sons surgery and Best Western took care of my family. 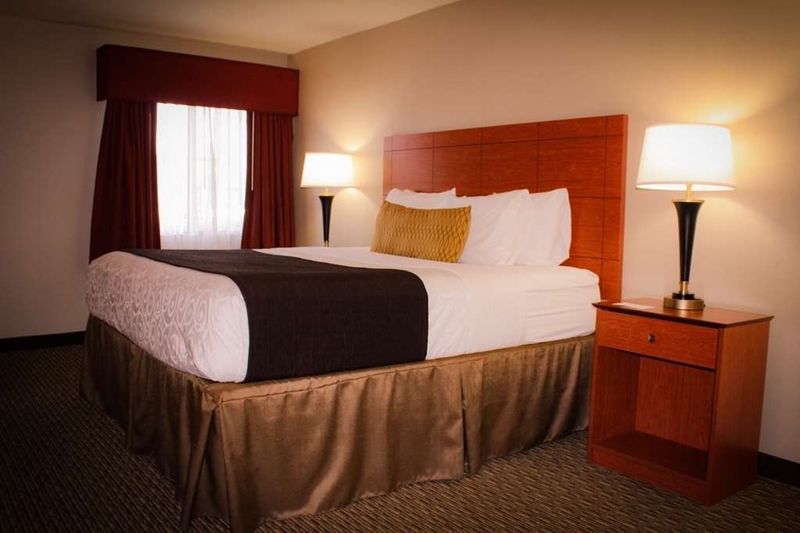 We recommend this hotel if you need to stay near Arrowhead Regional. 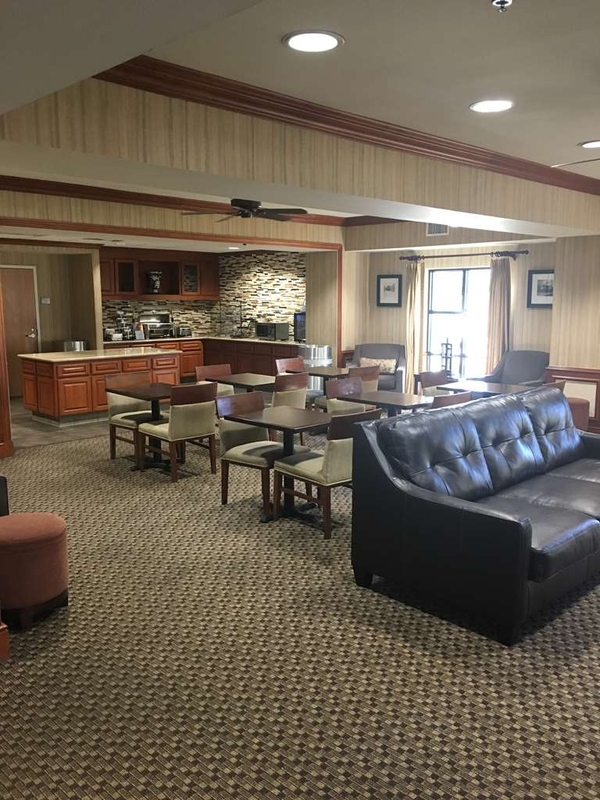 "Great hotel, nice an quiet"
Newly remodeled with an incredibly friendly staff that works hard to accommodate every need and greets everyone with a smile. 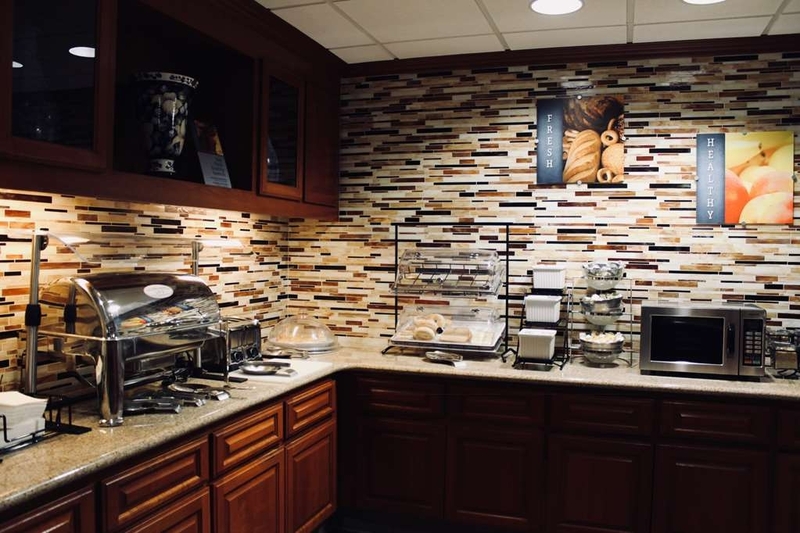 The excellent service more than makes up for any shortcomings at this hotel,(the free breakfast will have you heading for the Denny's down the street, and room keys that demagnetize too easily) and we will definitely be staying again. 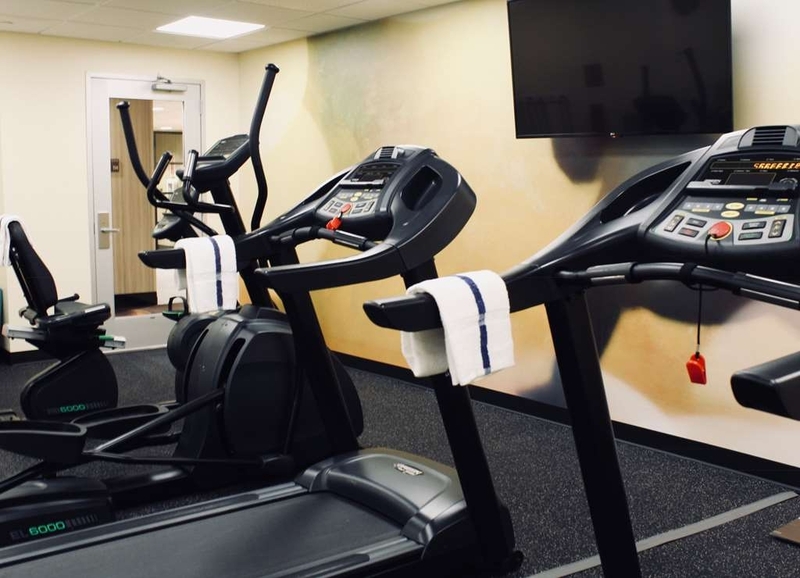 Very conveniently located across the street from Starbucks, a grocery store and with a variety of restaurants within walking distance. An absolutely great value. This hotel was neat, comfortable and had a friendly staff. There was a nice restaurant next door to the hotel and a few fast food restaurants nearby. The bed in the room was very comfortable. The breakfast was well stocked with different options. I was able to grab and go a few items if I didn't have time to sit and eat. "Great place to stay and plenty of restarunts"
Great property and excellent staff ! Give it a try if in the area you won't be disappointed ! I stay here on business and its always a pleasant experience ! I would recommend to friends or family members. There is a supermarket across the street, and also quite a few restaurants within walking distance and starbucks too ! "Very clean, bright and comfy at a reasonable price in San Bernardino area"
This place is great. The rooms are very clean, staff is friendly, quiet place. I definitely will be coming back! I went to check in happy and checked out happy. There are zero problems, nothing I can really think of. Absolutely mind-blown. Not sure what I was expecting when I booked this hotel. I was only there for an overnight and needed it convenient. The staff was awesome from check in, to housekeeping and the morning breakfast attendant. The room was clean and comfortable and let's face it. That's what it's all about.! Room was very clean and comfortable. Had a good night sleep. Location was easy to fine. Motel staff was very professional. Excellent place to stay in Colton, California. We ask for early arrive, and we got what we asked for. The entrance was very clean. "Frequent user of this location." Generally my stay here is very pleasant and except for the check in this stay I was satisfied. Upon arrival in my room the toilet was plugged. Once notified the staff quickly responded and fixed the problem. I enjoyed my stay at this hotel. The staff was helpful and friendly. 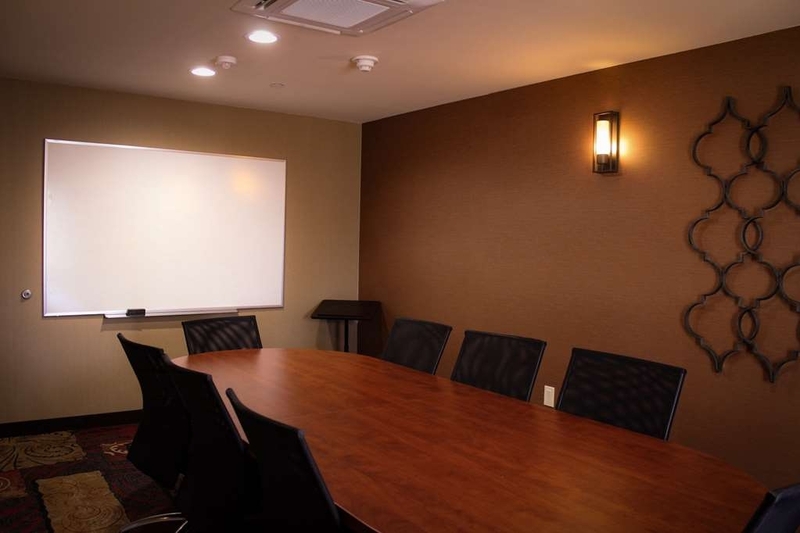 Also, the location is very convenient as it is close to shopping and dining. Freeway access is also close by as is the airport. I would look forward to staying here if I need a room at the location. 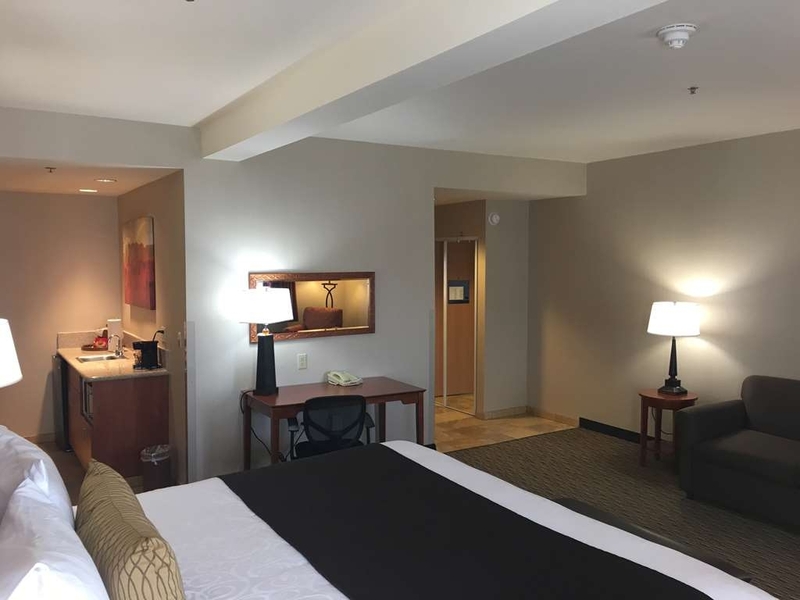 Extremely well designed interior and spotless best western hotel. Really gorgeous design and renovation in the rooms. Best quality mattress and bedding I've experienced in the entire chain. Very helpful staff and yummy breakfast. Easy access off the I-10 and very quiet neighborhood. "Comfort Security and relaxing stay"
I stayed at this hotel on two occasions once as a couple and this time solo. Both stays were pleasant and stress free. The hotel was clean and secure and quiet in the evening for restful night's sleep. All the hotel staff in every area were pleasant and helpful. The breakfast offered a variety of breakfast choices hot and fresh or cold. Fresh fruit and real orange juice yogurt and the coffee was excellent! "My stay at BW Hotel"
I had a great stay at this Best Western Hotel, the staff and the location made this Best Western Hotel a great choice. 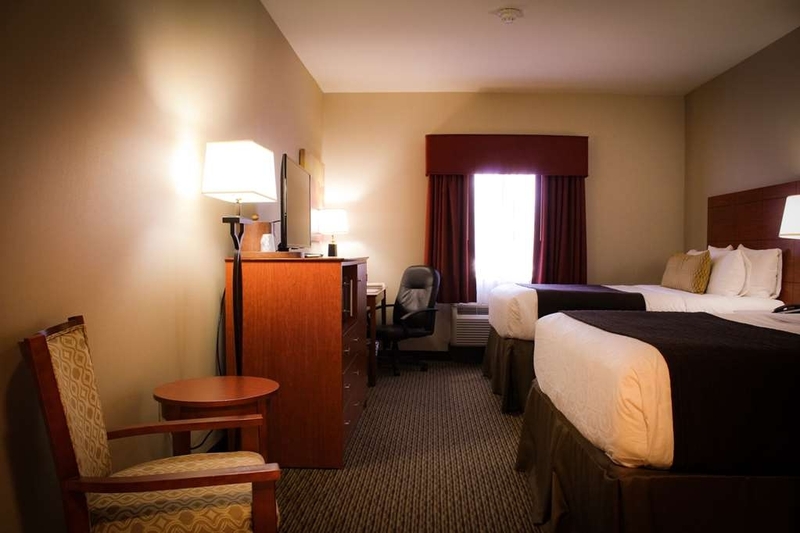 This Best Western Hotel location is very close to the Freeway and good quality restaurants. 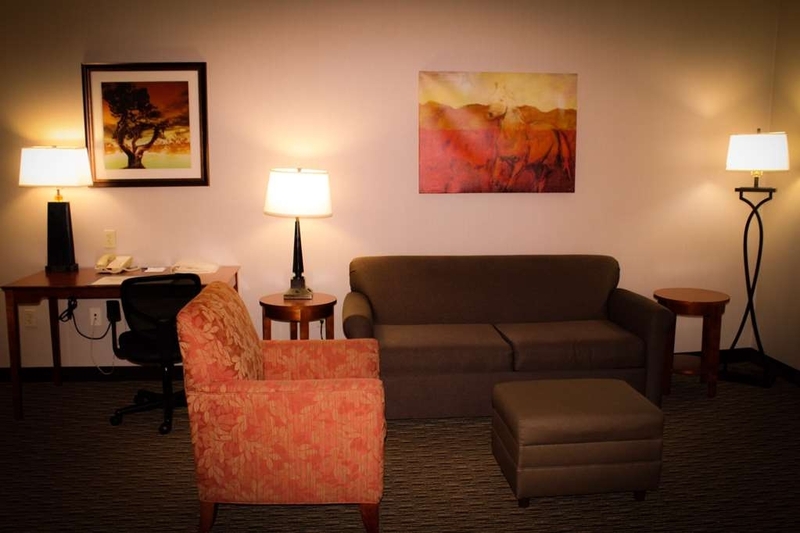 The entire staff I had contact with very professional and went out of their way to make sure my stay was great. 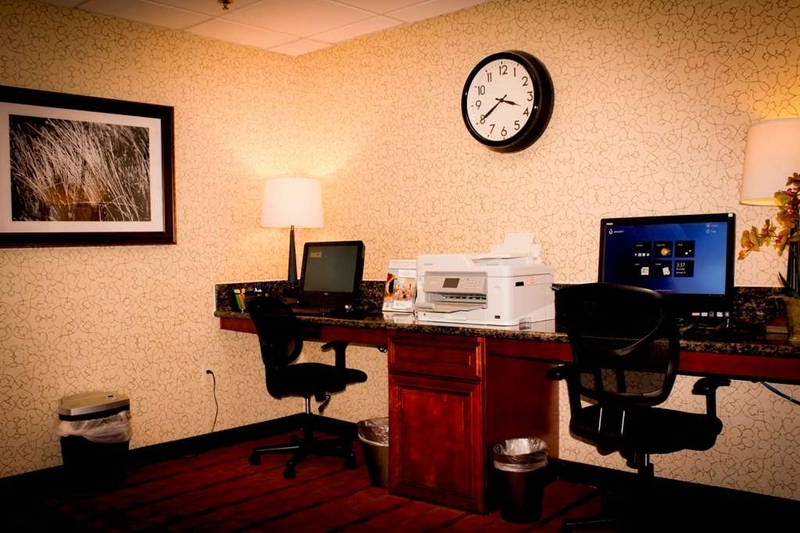 Great location great staff really friendly rooms are nice beds are comfortable. Each room comes with a microwave and fridge ac blows nice and cold I found if u set it like at 70 degrees u won't freeze. 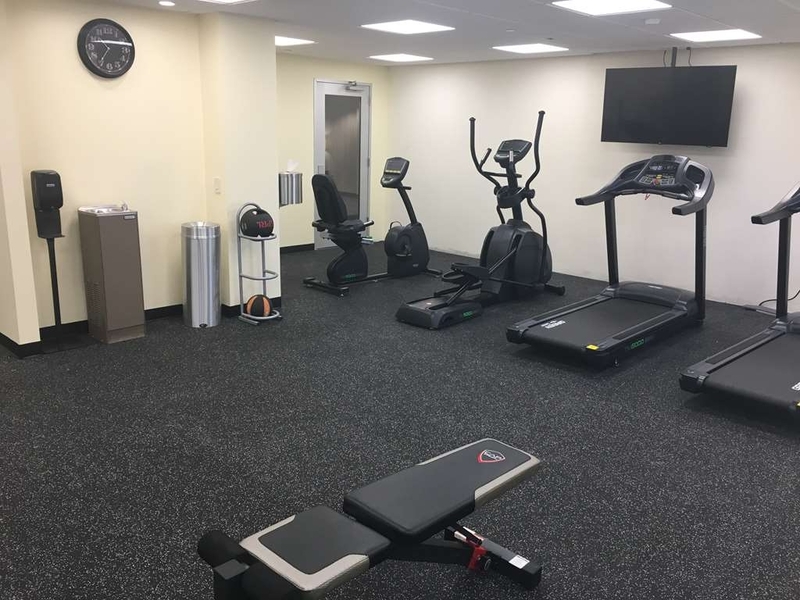 Very clean hotel and updated! 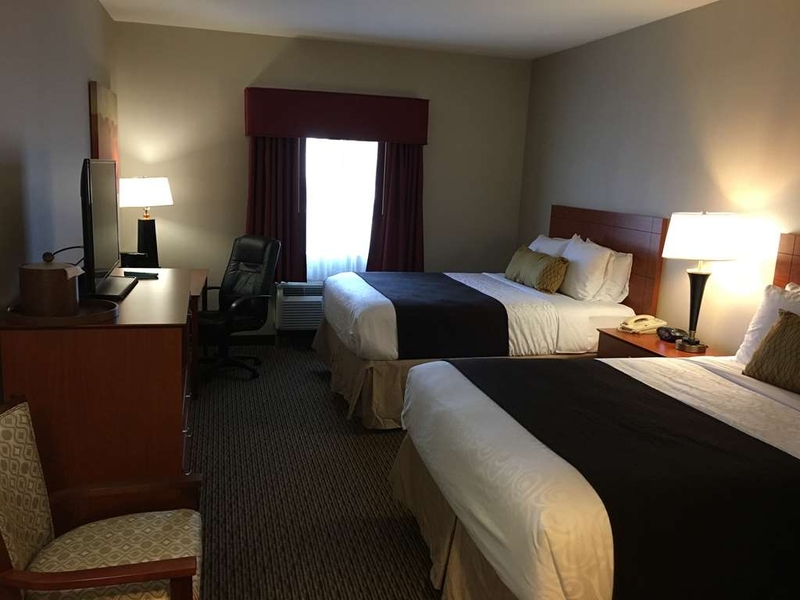 Great prices on room and great staff! Breakfast was good. The location was perfect for being so close to the National Orange Show. Parking was free as well as breakfast!! We stayed for just one night and we found it very good value for money. Great breakfast with lots of choices for everybody. We asked for a quiet room for away from the elevator and we got that! Good for an overnight stop or a couple of days. Room we had was clean and big. Great beds to sleep in. Checked in for the weekend. They need new and smaller luggage carts that will fit into their small old elevator. Which they should replace and add a second one. Floors are set up maze style but your room isn't hard to find. Room is of decent size. Bathroom is of decent size as well. Typical inefficient window heating and air unit that never seems to run right. Bed was comfy and had plenty of pillows. TV was large enough for room and has an alright channel lineup. An onscreen guide would be nice. Hardly any reception problems so that's a plus. Seems to be plenty of parking. Has a nice breakfast area and pool area as well. Business center has newer computers. Room is pretty quiet too..hardly heard any other guests. Surprisingly nothing in my room was broken. This is one of the better best western properties. I would stay again. Thank you for taking the time to review our hotel. We hope to see you again in the near future! 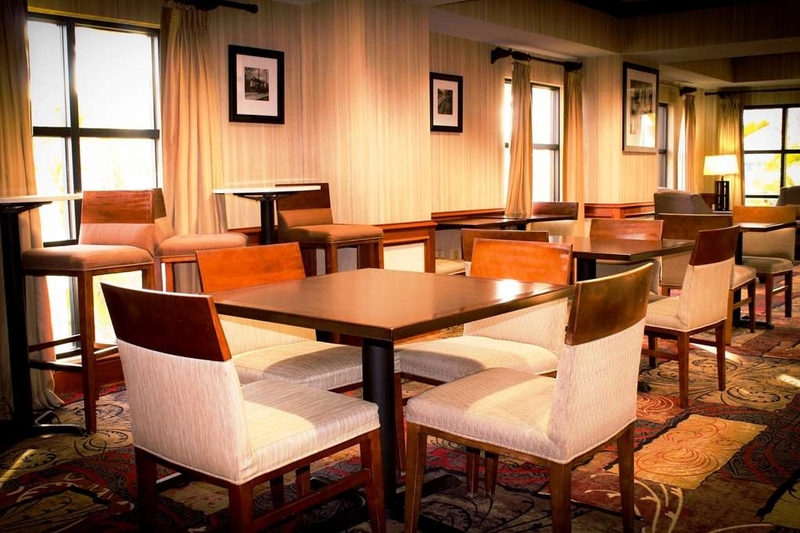 "One of my TOP TEN mid value Hotels!" Excellent Hotel. Modern, clean, tasty breakfast and by far the best customer service. I spend over half a year on the road in over a dozen states( I'm a Railroader) and I wish more where ran like this one. So, if your not worried about having a marble bath tub and mints on your pillows(which if you did, I hardly think you would be reading this anyway)then this is the place for you.